Storm clouds on the horizon! Real wilderness environments seldom offer second chances, thankfully these Italian Rain Pants are ready to provide ironclad weather defense from day one. Made to strict military specs, 100% waterproof, with built-in adjustable waist system for a snug, high-mobility fit. Get in the action. Order yours! 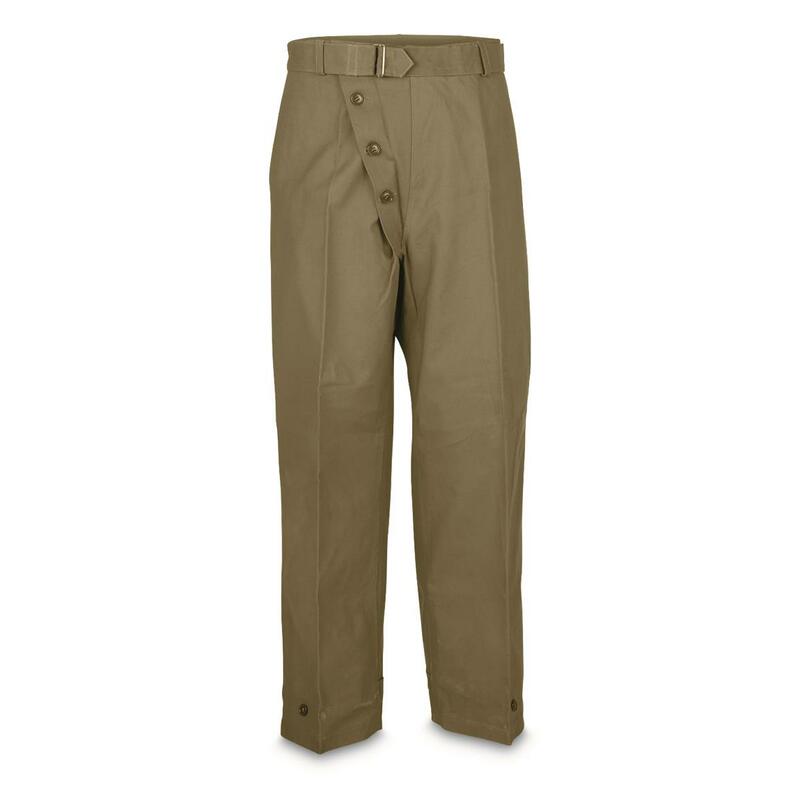 Italian Military Surplus Waterproof Rain Pants, New is rated 4.5 out of 5 by 2. Rated 5 out of 5 by Nerf from Great fit Pants have a lot of room and flexible fabric. Rated 4 out of 5 by Griff from Size Large is huge I am 5' 10" and 160#, and usually wear a 34 waist 30 length in USA sizes. I ordered a Large and it is the right length but very baggy in the legs. I would order a Medium if I had it to do over again. Material is durable and the included belt works perfectly. Great quality. Hip pockets a plus.